Made from free range turkey, vegetables and fruit. free-range turkey, organic vegetables & fruit (spinach, dates, apricots, onion, garlic), spices, sea salt, cayenne pepper, celery powder. Masala Turkey is a satisfyingly “meaty” texture from very lean free-range turkey and a delicious complex spice blend. Very high in protein, and our lowest in fat, our Masala recipe is an exotic combination of free-range turkey, organic spinach, and dates, with a tandoori-style blend of cardamom, clove, cinnamon, coriander, and a touch of cayenne. 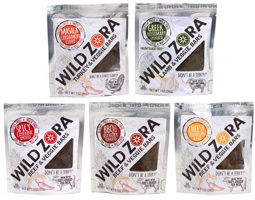 Wild Zora has created a very innovative lineup that combines quality pastured meats along with vegetables, fruits and wonderful spice blends. 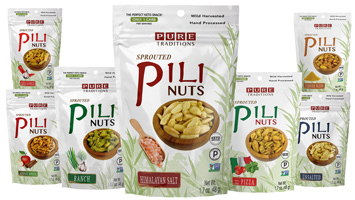 We absolutely love these!